Social cognitive neuroscience is the study of the processes in the human brain that allow people to understand others, understand themselves, and navigate the social world effectively. Social cognitive neuroscience draws on theories and psychological phenomena from across the social sciences, including social cognition, political cognition, behavioral economics, and anthropology. The tools used to study these topics are also wide-ranging, including functional magnetic resonance imaging (fMRI), positron emission tomography, transcranial magnetic stimulation, event-related potentials, single-cell recording, and neuropsychological lesion techniques. The notion that social behavior and social cognition have biological roots extends back thousands of years to at least Galen in ancient Greece who suggested that our social nature was influenced by the admixture of four substances in our bodies called humors. These four substances (blood, black bile, yellow bile, and phlegm) were linked to personality and interpersonal styles (sanguine, melancholic, choleric, phlegmatic). Although the humors have long since fallen out of favor in scientific attempts to understand the mind, the notion that the material body, including the brain, contributes directly to psychological processes has become increasingly important in psychological research during the past two centuries. Of particular interest to social psychology is the case of Phineas Gage in the 1860s. Gage was considered a socially agreeable and savvy individual until an explosion sent a tamping iron in one side of his brain and out the other. Miraculously, Gage retained his motor skills and cognitive abilities; however, socially and emotionally, he was a changed man. During the years after the accident, Gage made a series of ill-advised social decisions that left him unemployed, penniless, and divorced. By all accounts, his social and emotional makeup was quite different, largely because of damage to the ventromedial prefrontal cortex, a region of the brain located behind the eye sockets. Other cases of neurological damage have also shown neural contributions to social function. Prosopagnosic patients cannot recognize faces as faces even though they can recognize other objects. Damage to a region of the parietal cortex can lead individuals to feel as though other people are controlling their bodily movements. Individuals who have had their corpus callosum severed, cutting off communication between the hemispheres of the brain, will respond appropriately to cues shown exclusively to the right hemisphere of the brain but then provide strange rationalizations for this behavior using the left hemisphere, which was unaware of the original cue. In each of these cases, some social function that humans take for granted is profoundly altered because of localized brain damage. These case studies have been extremely provocative; however, such cases are rare and thus are not sufficient to sustain a new area of research. Two developments took place in the 1990s that laid the groundwork for the explosion of research that is now taking place in social cognitive neuroscience. First, social psychologists such as John Cacioppo, Stanley Klein, and John Kihlstrom began to apply much more sophisticated experimental methods to brain-damaged patients and healthy individuals using event-related potentials, to test social psychological hypotheses. These researchers used the brain to test questions about what kinds of processes are involved in normal social cognition, rather than focusing on describing what is impaired in brain-damaged patients. Just as other social psychologists use self-report measures and reaction time measures to test their hypotheses, these scientists used neural measures. The second major development was the use of fMRI to study social cognition. Although neuroscientists used fMRI throughout the 1990s, social psychologists only began to use this technique in the new millennium (although several British scientists, including Chris Frith, Uta Frith, and Raymond Dolan, did use positron emission tomography in the 1990s to conduct social cognitive neuroscience studies). Starting in the year 2000, social cognitive neuroscience research began to grow exponentially in the number of studies, number of topics studied, and number of researchers. 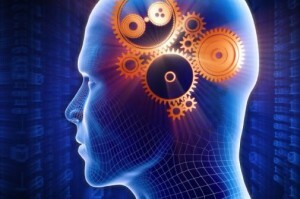 Currently, active research programs are examining the automatic and controlled aspects of attitudes and prejudice, theory of mind, dispositional attribution, empathy, social rejection, social connection, interpersonal attraction, self-awareness, self-recognition, self-knowledge, cognitive dissonance reduction, placebo effects, social factors in economic decision making, moral reasoning, and emotion regulation. Many of these topics are in their infancy with no more than a handful of studies attempting to identify the brain regions that are involved in the process of interest. One might remark, “What good is it to know that social psychological processes take place in the brain? Of course they do, so what?” Indeed, if social cognitive neuroscience began and ended with showing which parts of the brain “light up” when engaging in different social psychological processes, it would be of little significance. Fortunately, most social cognitive neuroscience does not begin and end as an expensive game of Lite-Brite. In the best social cognitive neuroscience research, the where (in the brain) question is merely a prelude to the when, why, and how questions. Social cognitive neuroscience has many of the same goals as social psychology in general, but brings a different set of tools to bear on those scientific goals. These new tools have several advantages and disadvantages, and although a debate about whether reaction time measurement or functional neuroimaging is a better tool for hypothesis testing may be a useful pedagogical exercise, it ultimately makes about as much sense as asking whether hammers or screwdrivers are better. They are both useful tools for some jobs and less useful for others. Before turning to what fMRI is useful for, it is worth noting some of the limitations of this technique. First, there can be no face-to-face interactions during fMRI. When subjects have their brains scanned, they lay on a narrow bed, which slides into a long narrow tube, and there is no room for multiple people to be scanned in the same scanner while interacting. Second, because of the nature of the imaging procedure, it is critical that subjects keep their heads absolutely still. As a result, subjects cannot speak while the images are being taken. Subjects typically reply to computer tasks that are watched with video goggles by pressing buttons on a small keypad. Finally, because the signals detected in the brain are noisy signals, many pictures must be taken and then averaged together. This means that subjects must perform the same task repeatedly before useful information can be extracted from the scans. The problem with this is that most social psychological research depends on having a large number of subjects each perform a task once. Many of these tasks will quickly lose their psychological meaning if they are repeated again and again. For all these reasons and more, many social psychological questions cannot easily be addressed with fMRI. An fMRI can make important contributions to social psychology in at least three ways: First, sometimes two psychological processes experientially feel similar and produce similar behavioral results but actually rely on different underlying mechanisms. For instance, the ability to remember social information and nonsocial information does not feel all that different, and for decades social psychologists debated whether social and nonsocial information is encoded and retrieved using the same mechanisms. Although no strong conclusions were reached (and if anything the standard tools of social cognition suggested that there were no special mechanisms for social information processing), recent fMRI research has definitively changed the debate. Jason Mitchell and his colleagues have shown in a series of fMRI studies that the brain regions involved in encoding social and nonsocial information are quite distinct. Encoding nonsocial information in a way that could be later remembered is related to activity in the hippocampus, whereas encoding social information in a way that could be later remembered is related to activity in dorsomedial prefrontal cortex. Thus, two processes that superficially seem quite similar and are difficult to disentangle with behavioral methods were clearly distinguished when examined with fMRI. Conversely, sometimes one would not think that processes rely on the same mechanisms, when in fact they do. For instance, Naomi Eisenberger and her colleagues have demonstrated that social pain, resulting from being socially excluded, produces activity in a similar network of brain regions as the experience of physical pain. Although physical pain words are typically used to describe feelings of social pain (“He hurt my feelings”; “She broke my heart”), the relation between physical and social pain was primarily thought to be metaphorical. Physical pain seems real because one can see physical injuries, whereas social pain seems as though it’s all in one’s head. Nevertheless, both seem to rely on similar mechanisms in the brain. Perhaps this overlap evolved because infants need to stay connected to a caregiver to survive and thus feeling hurt in responses to social separation is an effective mechanism for maintaining this connection. Finally, as more and more is learned about the precise functions of different regions of the brain, it may be possible to infer some of the mental processes that an individual is engaged in just from looking at the activity of his or her brain. The advantage of this would be that researchers would not need to interrupt subjects to find out an individual’s mental state. For instance, if a region of the brain was primarily invoked during the experience of sadness, one could know whether a subject was experiencing sadness based on the activity of this region rather than having to ask the subject. This would be useful because subjects may not always want to report the state that they are in, subjects may not always accurately remember what state they were in before the experimenter asked, and because reporting on one’s current state may change that state or contaminate how the subject will perform in the rest of the experiment. This is one of the loftier goals of social cognitive neuroscience and is not something that can be done currently with precision; however, this kind of analysis may be possible in the future. Lieberman, M. D. (2007). Social cognitive neuroscience. A review of core processes. Annual Review of Psychology, 58, 18.1-18.31.